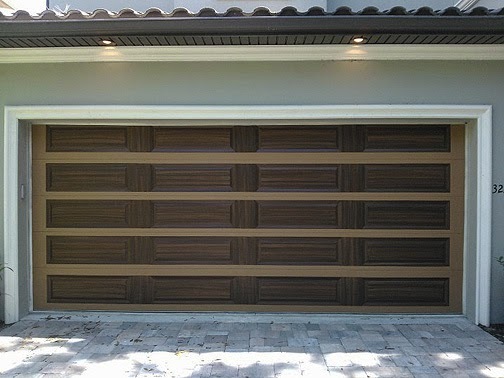 I was able to complete this week's project of painting a garage door to look like wood. Once again I forgot to get some pictures after I finished but I have some from the day before so... 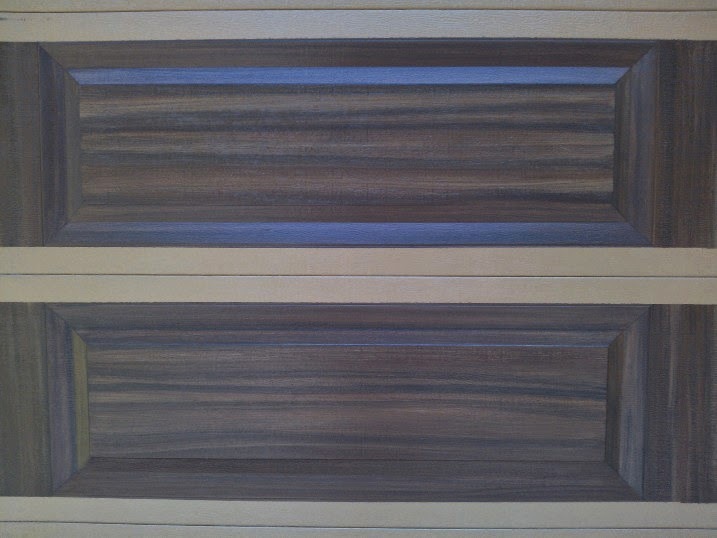 This door is about as dark as I like to paint them. They get too dark and you can't really see the wood look effect from the road so in my mind it loses the reason to have it painted like wood. In the next photo you get a good feel for how dark the door is. I was painting it to more or less match the front door and trim on the house. You can see the trim in the first photo. 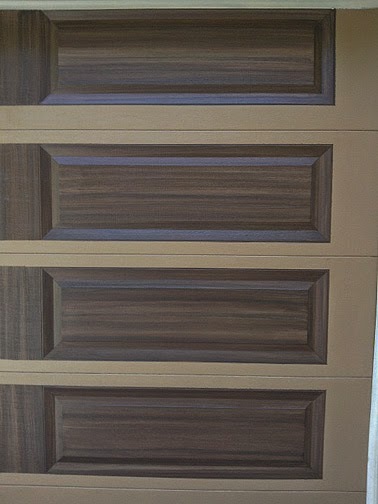 The front door is really dark, so dark you can't see the wood grain from the street. 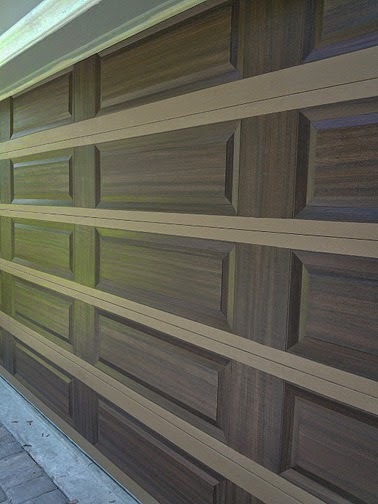 So my thinking is you really want to see some wood grain and I painted this garage door to look like a dark wood but not so dark you can't see the beautiful grain on it.